PT Hyundai Mobil Indonesia - HYUNDAI set wheels in Indonesia through the sole agent brand, PT Citra Mobil Nasional (CMN). The first Hyundai car was first launched in 1995 Elantra is the first Korean cars sold in Indonesia outcome Hyundai assembly plant in West Bekasi. Since the beginning of Hyundai Indonesia have assembling plant with a production capacity of 10,000 units per year for the life of one shift. A year later in 1996 Hyundai Accent Indonesia assemble and launch it in mid-year before Gaikindo Expo. 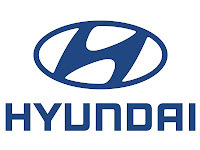 Hyundai Indonesia to spread its wings then founded a company called PT Hyundai Mobil Indonesia, while the assembly is entrusted to PT Hyundai Indonesia Motor replaces the name of PT Citra Mobil Nasional. or email to : recruitment@hyundaimobil.com (max 200kb). Include the applied position in the email subject. For detailed information, please refer official source on following link below.